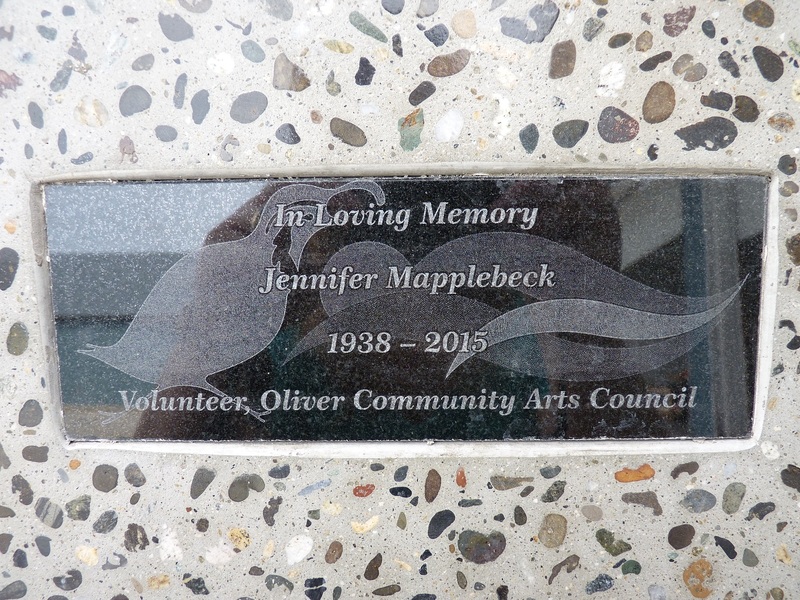 With a little bit of muscle, and a whole lot of heart, a new memorial bench in honour of Jennifer Mapplebeck was installed at the Quail’s Nest Arts Centre on Saturday May 14. The project has been in the works since the long-time arts council director passed away on April 8, 2015. The OCAC Board agreed to purchase a bench in the spring of 2015, a landscaping project that had been on the “to do” list. The Board had also felt the addition was especially fitting as a memorial to this tireless volunteer who had laboured away quietly behind the scenes for many years. 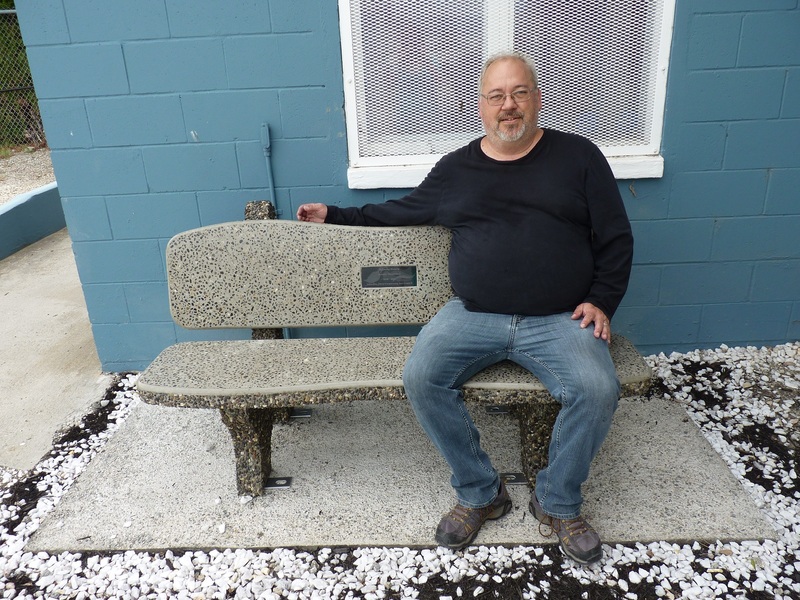 The bench was delivered in late September, and a concrete pad laid in late fall. 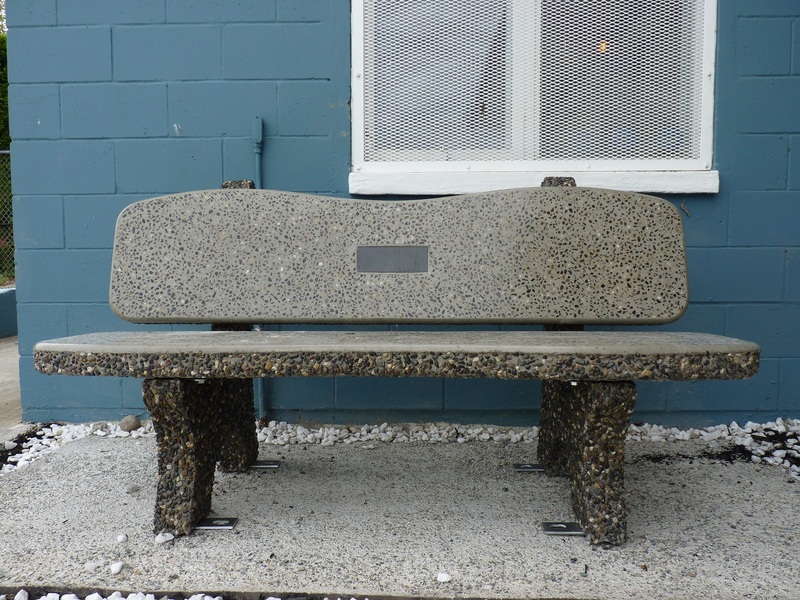 The “gullwing” style bench, made of grey concrete aggregate, is situated in a sheltered corner beside the Studio Building, where Jennifer, the facility’s rental agent, could often be found tidying and cleaning. In the warmer months, the Studio bay doors are rolled up to create an open air site for exhibits, sales, workshops and demonstrations. The bench will be a shaded place for enjoying all the artistic activity at leisure. The bench faces the other building on site “Big Blue” where SOAP (the local theatre troupe) builds its sets and rehearses. Jennifer had been an even more active member of SOAP, first onstage as an actor and singer in the 70s and 80s, and later as a producer, stage manager, and crew. She was the set dresser for her last show, “The Melville Boys”, whose production run was dedicated to her memory. Installation by Nathan Linders (OCAC and SOAP, pictured), Trevor Leigh (SOAP), and Penelope Johnson (OCAC and SOAP).